Musical Show Off concludes a successful sixth season with lots of "Fame"
The Fametastics celebrate their victory. The sixth season of Musical Show Off concluded on Sunday evening, June 26 before a packed Rialto Theatre on Avenue du Parc, showcasing some of the city`s best young triple threat talent. Musical Show Off, presented by Productions Broncon Inc., has grown to become one of the most sought after musical competitions in the city for boys and girls aged eight to 17 – and now beyond. It was created in 2010 by two best friends who wanted to give kids and teens an opportunity to perform in a musical production live on stage in front of a sold out professional venue. “Casting agents, agents and recognized people in the entertainment industry are always invited to come watch this competition in search of talent for their upcoming contracts,” said Bronwen Lloyd-Hughes, one half of Productions Broncon Inc. 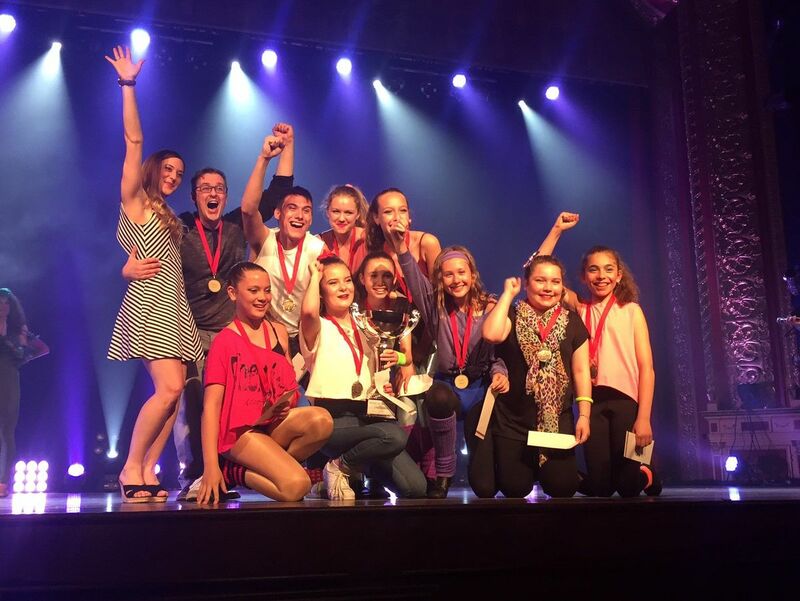 The senior category, comprised of 11 to 17 year olds, were once again split into four teams and received a total of 24 hours of coaching before they competed against each other live on stage for the chance to win Musical Show Off. Their mentors were Lloyd-Hughes, Rotella, Nadine Ishak of CTV Montreal, Carolyn Drolet, Guy Porlier, Stefanie Ammendolea, Emily Josset, Pascale Seguin and John Gilbert. They performed numbers from Little Shop of Horrors, Finding Neverland, West Side Story and Fame the Musical. The winners were the team from Fame, known on this night as the Fametastics. Members shared a cash prize of $1,000.